I takes a lot to shock me, but I had to do a double take when I read a comment piece in the Irish Independant on the Rory McIlroy wedding at Ashford Castle in Ireland and the complete banning of media access. Apparently Michael O' Doherty was upset that Rory didn't parade his new wife Erica outside the front gates of the Castle for him and wonders if he has "disappeared up his own arse". "No photos, no interviews, even guests were told not to bring mobile phones lest any of them be tempted to put a photo or two up on social media. It’s obsessive secrecy such as this that makes you wonder if Rory, by all accounts a sensible and polite person, has disappeared up his own backside when it comes to his biggest day." 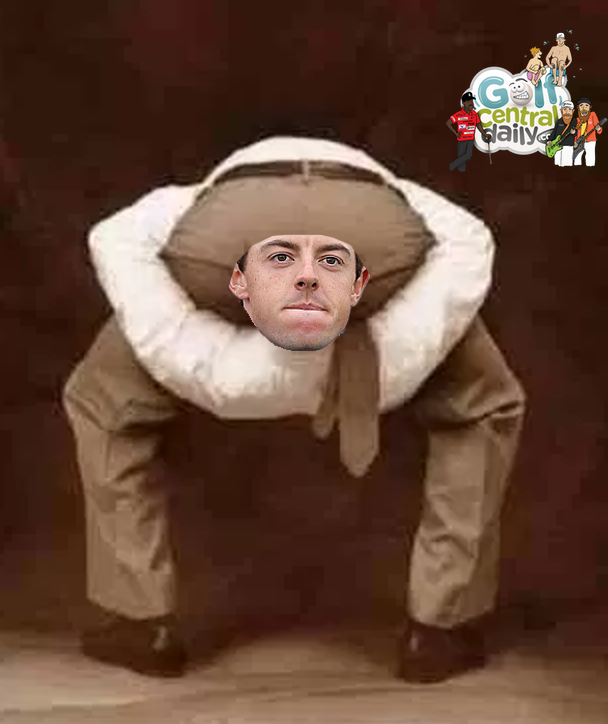 Rory McIlroy disappearing up his own arse says journo. Now I happen to live 100 metres from the front Gates of Ashford Castle and the photographers and reporters were camped there from dawn to dusk waiting for their scoop. I got pissed off very quick with them hanging around outside my door. I can only imagine what Rory feels 24/7. Surely Rory is entitled to have his wedding kept private from the media? Surely one of the most photographed sportsmen in the world is allowed, on his own wedding day, to feel what is like to be a normal guy marrying the woman he loves without some stranger pressing a lens in his face? That's why he chose Ashford Castle. The wedding date was kept a secret for a reason. I knew the date, but didn't say a word. For once. It was not a media event of his design. Rory didn't want Michael O'Doherty and his friends to be getting cold waiting outside the gate. So Michael, if you want access to Rory, why don't you and all the other guys come in the same number to the Irish Open in Portstewart on July 6th to 9th? Rors will be there and he'll be happy to talk and get pics taken! !